This page includes Book Review columns from the 2000 issues of Across the Fence Post. In preparing this review there was little to add to the review of the 1998 catalog done by Dan Undersander and published in the March 1998 issue of Across the Fence Post. The catalog has maintained the same format as the previous edition, soft cover, 6-inch-by-9-inch book with 171 pages listing imperforate, color-omitted, and invert errors. Undersander noted that the catalog had an excellent introduction with good definitions of terms, catalog prices in the correct range, and much useful information for anyone interested in errors on U.S. postage stamps. Undersander also considered the lack of accepted catalog numbers, as a major problem of this work and that researching an error on the same stamp requires looking in two places in the catalog for coil and sheet varieties. He also wished that the catalog had given more information about how errors are created during the manufacturing process. The strengths of the 1998 catalog remain in the 2000 version. Anyone seeking education on errors would be well advised to read the eight pages of introduction to the catalog, and this edition does include some discussion on how errors occur. I found no difficulty with looking back and forth between the sections on sheet stamps, coil stamps, color-omitted stamps, etc. The illustrations make that task easier. The author is clear in the introduction about what errors are contained in the catalog. To satisfy people who would claim other areas should have been included, the author includes a chapter, "EFOs & Other Unusual Stamps." There he talks about misperfs, foldovers, miscuts, color shifts, gutter pairs and gutter snipes, open creases, albinos and blank stamps, and other miscellaneous stamp errors such as smears, blobs and blotches, under-inked stamps, offset, imperforate margins, partial or blind perforations, plate varieties, and design errors. All in all I come to the same conclusion as Dan Undersander came to when he reviewed the 1998 catalog; that is, the catalog contains "much useful information to anyone interested in errors and is highly recommended in spite of the limitations mentioned." For people unfamiliar with Krause Publications it would be worth learning about their philatelic works. Many of them address areas of specialization that are often not addressed elsewhere. I have been a collector many years and have only recently discovered Krause. 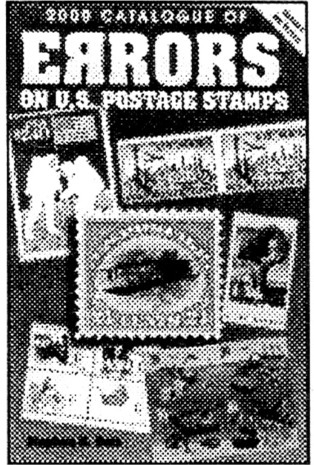 The 2000 Krause-Minkus Standard Catalog of U.S. Stamps is the third edition of this publication. It features a nicely laid out multicolored cover and is available at a reasonable retail price of $22.95. The title page gives appropriate credit to Editor Maurice Wozniak; Wayne Youngblood, Publisher of Krause Publications' Philatelics Division; and special contributors. This page is special to me as it identifies a number of acquaintances, dealer contacts and others I have had the pleasure of meeting. As with previous editions, the basic format is maintained with regular postal issues followed by commemoratives, airmail, special delivery, post offices in China, parcel post, and officials. Postage due stamps are finally included to round out the first 400 pages of the 620-page catalog. More back-of-the-book listings follow, with a section on encased postage without page numbers ending the catalog. Proofs and essays are not listed. A few critical comments are in order. In some instances, the information for a given stamp is carried over to the next page. This is a difficult publishing problem to remedy and especially when working with consecutively issued items, likes stamps. It could, however, be minimized with more careful editing. I also noted that aside from "on cover" listings, there is little mention of postal history. It's not surprising, though, as this is a stamp catalog and not a cover/postal history catalog. Postal history is a dynamic collecting area and has much additional literature to which collectors can turn to for information. Earliest-known uses for some issues are listed; however, for the First Bureau issues, the dates reported do not align well with other sources. Although constantly changing, this information is readily available and is the most glaring example of potential misinformation that I spotted. serial publication), nothing seriously detracts from the wealth of data provided. The subtitle for this book could well be "Everything You Ever Wanted to Know About U.S. Domestic Postal Rates." Though it is expensive, this is the most thorough treatment of postal rates ever compiled. Within the 333 pages there are 51 chapters and seven appendices, a glossary, a bibliography and an index. Each chapter deals with a separate class of mail and the chapter headings range from the expected (Chapter 8 "First-Class, Letter, Airmail") to the obscure (Chapter 51 "Merchandise Return Service"). Other chapters include all of the various first-, second-, third- and fourth-class rates (24 in all); free mail; registry service; restricted delivery; controlled circulation publications; express mail; V-mail; dead letter office return fee; insurance service; unmailable and nonmailable matter; and many others. In this revised second edition the authors have integrated the text with the tables included in the book. Also integrated in each chapter are many finely reproduced examples of letters carrying the postage rate being discussed in that chapter. How many of us have looked at a cover and tried to figure out the rate that the postage on the cover was intended to pay? I know I have done this many times. Trying to figure out the postage rate is often a mystery because most people, like me, have no clue as to the many different rates charged by the post office. I hesitated purchasing this book because of its price. Forty-four dollars seemed to be pretty steep. However, when I received my copy from CAMA Publishing Company, P.O. Box 19730155, Portland, OR 97280-0730, 1 could not have been happier with my purchase. Even if I never need to look up a postal rate, the reproduction of the covers illustrated in this book was well worth the price of the book. And for those of you who really have a lot of money, there is the companion book, U. S. International Postal Rates, 1872-1996, also available for $44 from the same publisher. One of the authors, Henry W. Beecher, died in March 1992 before the book was finished and his friend, Anthony S. Wawrukiewicz, completed the book. 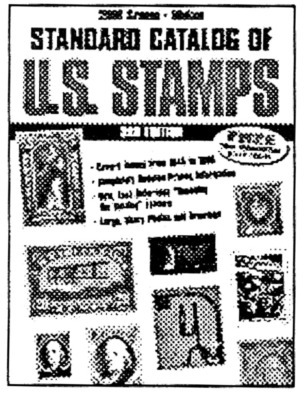 If the $44 price tag is too steep for you as an individual, perhaps your stamp club or your local library could buy it for their reference library. It is an absolute gem of a book. This wonderfully written book, by Eric Jay Dolan and Bob Dumaine, is the bible for duck stamp collectors, but it is also a must for anyone interested in conservation of our wildlife resources. This book is more than just a story of the duck stamp program, and it begins as a narrative of the circumstances, which led to the most successful wildlife conservation program. It tells of the sights of hordes of wildlife species that our early ancestors saw when they came to our shores. It chronicles the blackened skies filled for miles with passenger pigeons and the plains filled with buffalo for as far as the eye could see. Yet, in just a few short years, many of these species were nearly wiped out by the excesses of hunters and a lack of concern by most people. Within 100 years, the passenger pigeon was hunted from over five billion to extinction. The efforts of a few dedicated and deter-mined individuals are summarized and the ultimate success of the conservation program is outlined. Although the program initially met with considerable resistance from various groups with purely selfish motives, even those groups eventually came to see the need for conservation. The book goes on to list the successes that this program has realized. Additionally, the book includes a review of the state duck programs and a bit about the creation of the prints that become the wonderful works of art known as hunting permit stamps. 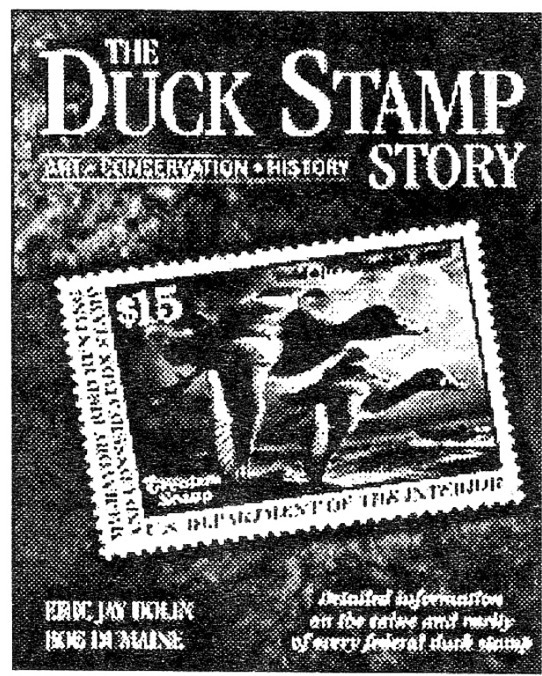 The duck stamp collector will find a comprehensive section titled "Collecting Duck Stamps" most useful and informative. Design mistakes, varieties, errors, and rarities are covered in considerable detail. The evolution of the duck stamp design contest is covered and the artists and their works are detailed as well. Near the back of the book, each stamp is beautifully illustrated in color and a wealth of information about each is provided. Finally, a complete listing of the stamps with values for each grade, for plate blocks, and for artist-signed examples concludes this great work. The book is printed on heavy, high-quality, glossy paper and is loaded with a lot of very fine colored pictures. At 206 pages it is the most comprehensive reference work for this subject yet. At $29.95 for the soft cover version and $49.95 for the hardcover version, it is indeed a great value. The authors are extremely knowledgeable about the subject and are to be complimented for such a thorough and complete publication. It is a must-have for my library and once you see it, it will be for yours as well.